CAIRO (Sputnik) – Qatari and Turkish media have launched a full-scale anti-Riyadh campaign after the death of journalist Jamal Khashoggi in the Saudi consulate in Istanbul, Saudi Foreign Minister Adel Jubeir said on Thursday. 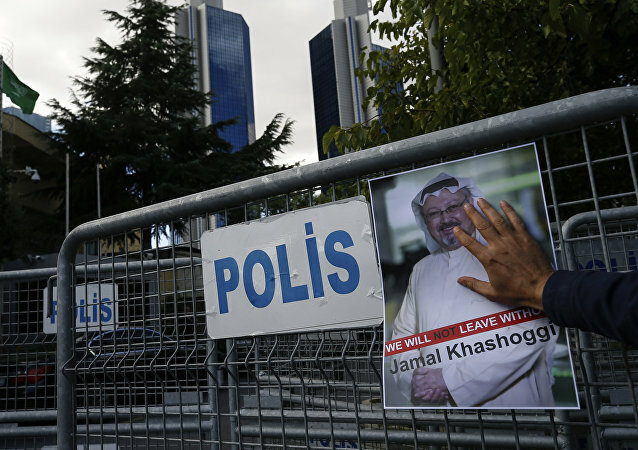 MOSCOW (Sputnik) - Saudi Foreign Minister Adel Jubeir on Saturday said that the world media's response to the murder of Saudi journalist Jamal Khashoggi in Istanbul amounted to "hysteria," the Bahrain-based Al Bahil Press news portal reported Saturday. 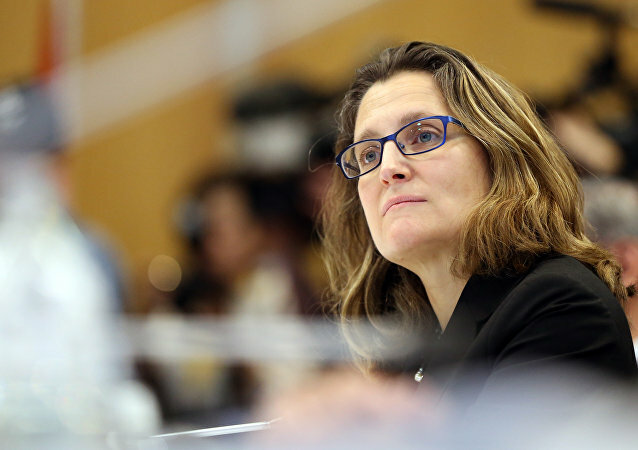 Canada has engaged in a diplomatic spat over human rights issues with Saudi Arabia. Speaking to Sputnik, ex-Canadian Justice Minister Irwin Cotler shared his views on the ongoing row between Ottawa and Riyadh. According to Saudi Foreign Minister Adel Al-Jubeir, Canadian investments in Saudi Arabia will not be affected, despite the ongoing row between the countries. 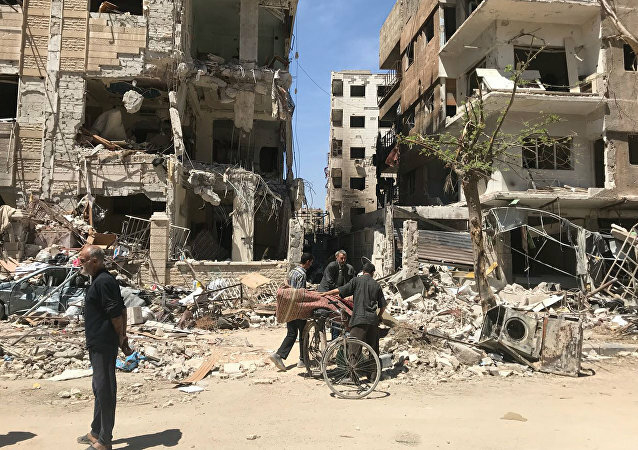 China is lending its helping hand to war-torn Syria within the framework of the China-Arab States Cooperation Forum (CASCF). Speaking to Sputnik, Beijing-based Syrian economic observer Munir Gneim explained why Beijing has always paid great attention to Syrian affairs. Doha and Riyadh have yet to reach a compromise on who should pay for the US military presence in Syria. Speaking to Sputnik, a Lebanese retired general expressed doubts regarding the dispatch of troops by the Gulf kingdoms, while an Omani analyst opined that the US wants Qatar as its spearhead in the region. Gulf States on the Horns of a Dilemma: Who Should Pay for War in Syria? President Donald Trump is blackmailing his Gulf allies, pressuring them to pay for the US presence in Syria, Arab analysts told Sputnik. Meanwhile, it appears that Saudi Arabia wants Qatar to take on this burden amid the ongoing diplomatic row between Doha and its neighbors. Although Saudi Arabia and Israel have no official diplomatic ties, a recent statement by Crown Prince Mohammad bin Salman al-Saud indicates that Riyadh and Tel Aviv have been maintaining allied relations for some time, Turkish political analyst Ozdemir Akbal opined while speaking with Sputnik. Previously, Hezbollah blamed Riyadh for the political crisis in Lebanon following the shock resignation of Prime Minister Hariri, who later postponed his decision. The Lebanese president has accused Saudi Arabia of holding Hariri and his family. The Saudi Minister of Foreign Affairs does not beleive Iran strictly enforces the nuclear deal. 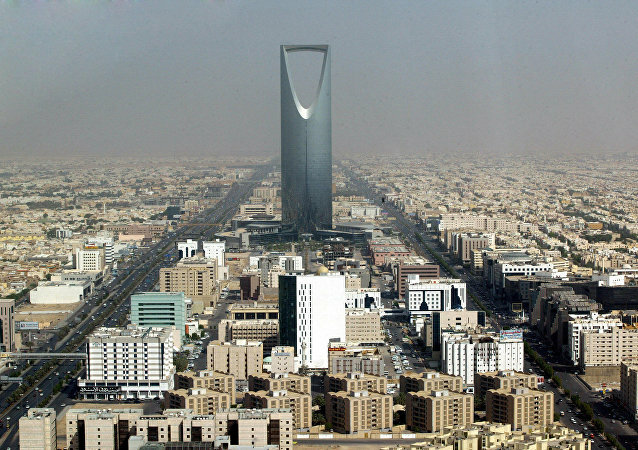 Russian Foreign Minister and his Saudi counterpart hold phone talks, the Russian Foreign Ministry said in a statement. The new US presidential administration includes a number of experienced professionals and could contribute to settlement of many world problems, Saudi Minister of Foreign Affairs Adel Jubeir said Sunday. 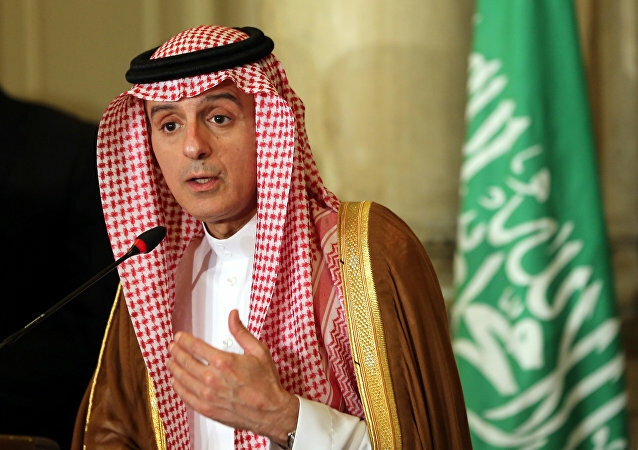 Saudi Arabia is counting on cooperation with the new US administration to resolve problems in the Middle East, such as the Israeli-Palestinian conflict, Saudi Minister of Foreign Affairs Adel Al-Jubeir said Thursday. US Congress decision to override Barack Obama's veto of the JASTA bill which allows the families of the 9/11 victims to sue Riyadh has prompted a heated debate. US analyst Daniel R. DePetris notes that the irony of the situation is that the US Senate earlier approved a $1.15 billion sale of arms to Saudi Arabia. 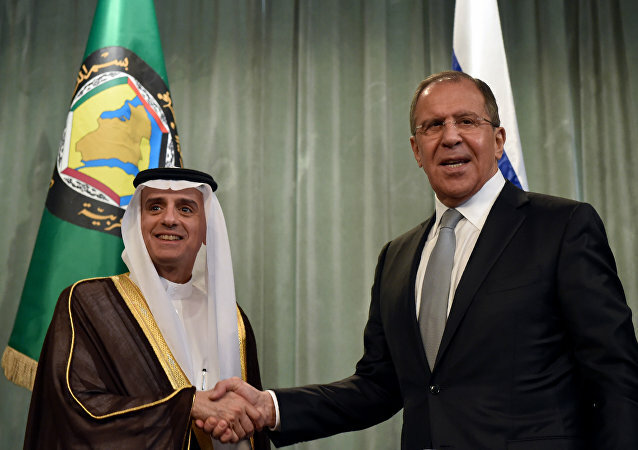 Saudi Foreign Minister Adel Jubeir said that disagreements between Russia and Saudi Arabia over approaches to resolving the Syrian conflict have not had an impact on the level of cooperation between the two countries. US Secretary of State John Kerry held an unprepared meeting with Saudi Arabia’s foreign minister to discuss the fight against the Daesh in Syria in the wake of the recent terrorist attacks in the Desert Kingdom, US Department of State spokesperson John Kirby said in a press release. Riyadh appears to be falling victim to a crisis of their own making as their bid to undercut the world's oil market has left the country's economy in shambles. 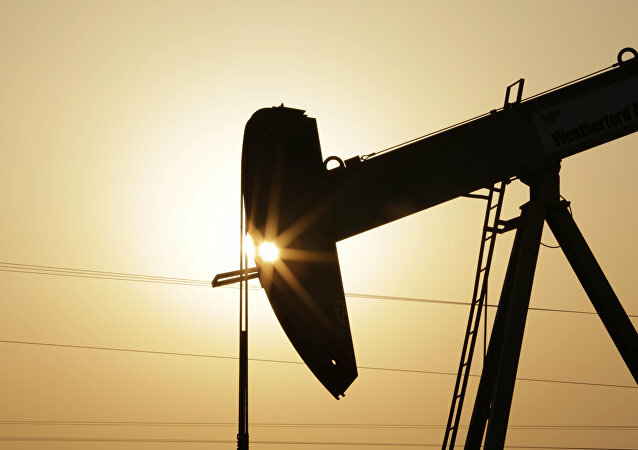 Oil Prices Rebound After Saudi Arabia Crashed the Market, But Will it Last? After dropping more than 80% in two years, oil prices have started to recover. 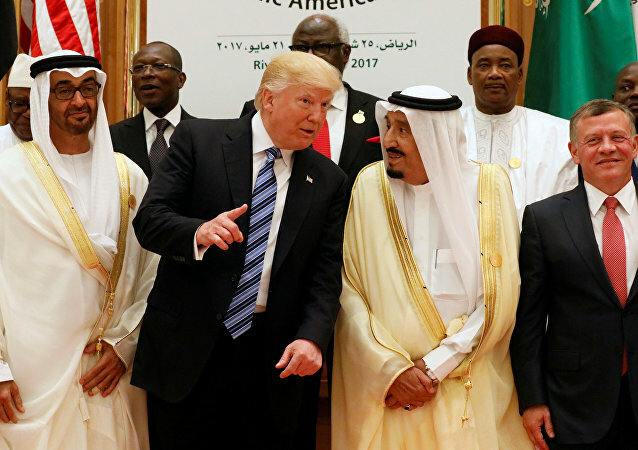 But a full rebound remains uncertain, stuck at the crossroads of a worldwide recession and the House of Saud’s suicide mission to keep pumping more oil.